Oriental Orthodox Churches: Kerala nun murdered by mining mafia in Jharkhand. Kerala nun murdered by mining mafia in Jharkhand. 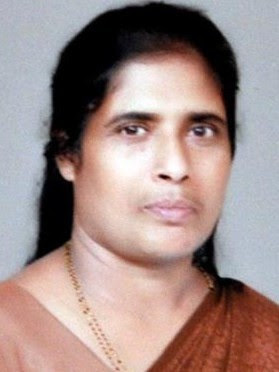 A 53-year-old nun from Kerala who led campaigns to defend tribal rights was shot dead yesterday in Jharkhand (India). Sister Valsa John, who belonged to the Sisters of Charity of Jesus and Mary, had been working among tribals in the coal rich region of Dhumka for the past 20 years. The tribals have been displaced from their homelands and subject to inhuman exploitation by the coal mafia and Sister Valsa had taken it upon herself to resist the mafia. In the end she had to pay for it with her life. "She had mentioned about certain threats, but we never thought that the mafia would finish her off," said her elder brother M J Baby. Baby and two relatives will leave for Dhumka on Wednesday evening. "Most probably, the funeral will be conducted at Dhumka itself," Baby added. According to an official communication received by her family, Sister Valsa was murdered by a group of persons armed with lethal weapons around 2 am at her residence. "She was pursuing a course in LLB. Her life was under constant threat and she had communicated it to Jharkhand political leaders like Shibu Soren and Stephen Marandi," Baby said. Sister Valsa, who took her vows in 1984 had, true to her vocation, chosen the less easy path. She had been teaching economics at St George High School in Kochi but quit to take up missionary work in Dhumka. The nun, who hailed from Eranakulam in Kerala, was arrested in 2007 for protesting against a coal mine on tribal land that had allegedly been acquired illegally in Jharkhand’s Pakur district. "She always wanted to work for the welfare of the downtrodden and the poor," revealed Baby, who said she became emotional whenever she described the plight of the tribals. Apparently, she was approached by the coal mafia several times for a settlement. "But she was firm on her stand and demanded due share for the tribals from the revenue generated from the mines," Baby said. Sister Valsa last visited her home in Kochi in August. The Catholic bishops’ conference spokesman, Father Babu Joseph, said the local church will demand a thorough investigation into the tragedy by the state government. Sister John’s funeral is scheduled for tomorrow, he added.